Ever since I learned about Mae Jemison, I thought she was so cool. She even looks like a superhero. Mae Jemison has helped pave the way for many women of color in the STEM field as the first black woman in space. Her accomplishments don’t stop there. She was a doctor way before she became an astronaut, and if that’s not some serious accomplishment, I don’t know what is. Many know Marsai Martin as the adorable, but often scary, Dianne on Blackish. She’s now gone from a rising child actor to full-fledged producer. 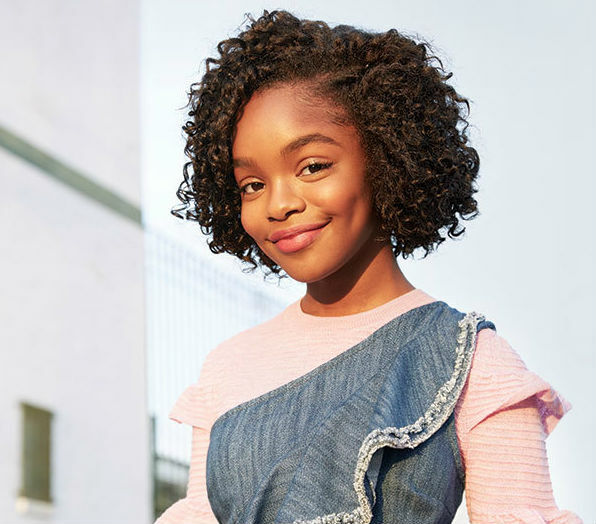 Marsai Martin snagged the title of Hollywood’s youngest producer at only 14 years old. I personally can’t wait to go see Little when it hits theaters. Those are just two women that I feel deserve some extra credit for their accomplishments. They’re movers, shakers, and change makers. Who are some of your favorite unsung/inspiring women? What are some prompts I should use next month? Are you interested in joining Two for Tuesday? The Educated Negra • This entry was posted in Tag and tagged Two for Tuesday, Women, Women's History Month. Bookmark the permalink. I love your choices, Rae. I’m not good at thinking of themes for your #TwoForTuesday blog project. I look forward to seeing what you come up with for us. Do you want prompts that are more book focused, or things that are general?